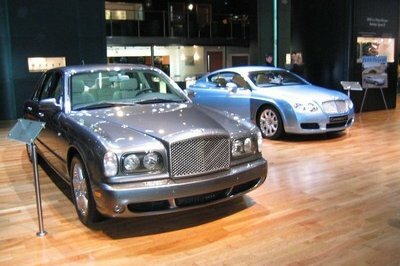 Not surprisingly, the LS 500h is identical to the gasoline-powered LS 500, with only a few badges setting it apart. Not surprisingly, the LS 500h is identical to the gasoline-powered LS 500, with only a few badges setting it apart. 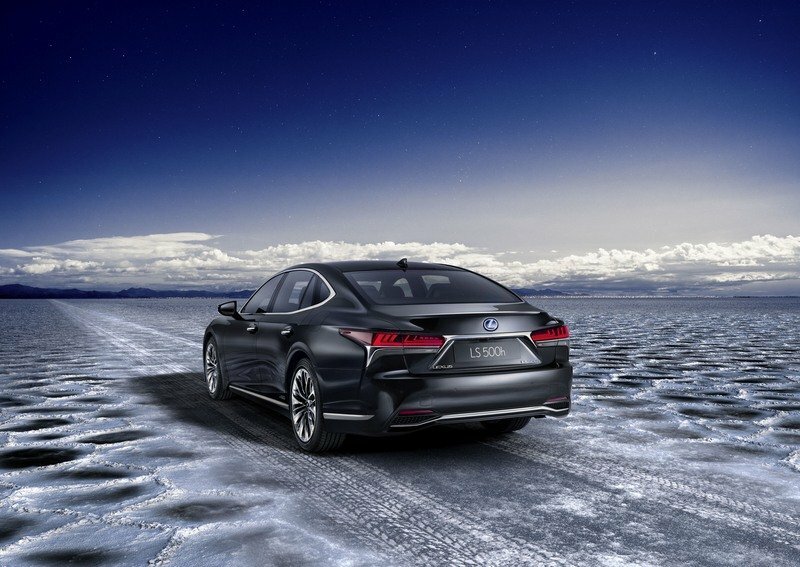 I’m talking about the main Lexus logos front and rear that have blue backgrounds, and the "LS 500h" lettering on the trunk lid. But this isn’t bad news. 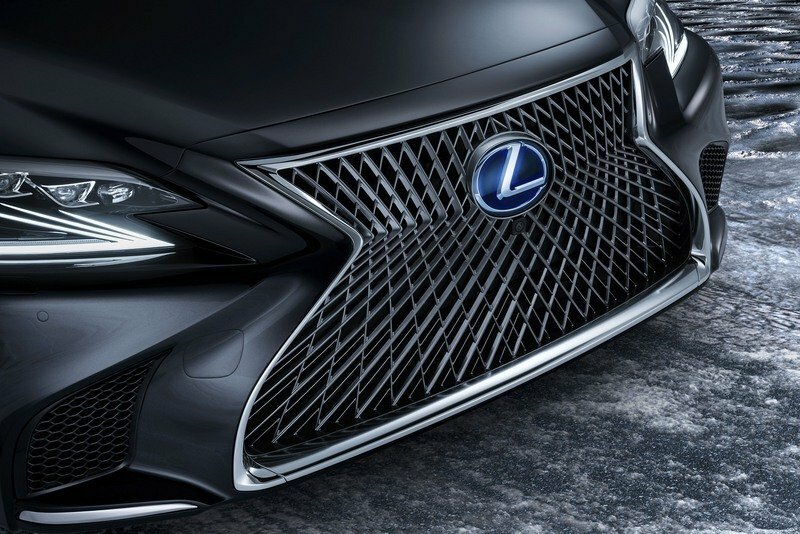 The new LS is a gorgeous sedan that sports features that remind me of Lexus concept cars from the past, a more dynamic and wide stance, and I’d dare say more excitement than the Mercedes-Benz S-Class and BMW 7 Series. Heck, the old Audi A8 is quite boring compared to the LS, while the redesigned A8 is barely interesting to look at. So yeah, it’s all there. All the gorgeous lines of the new LS paired with a hybrid drivetrain that helps you spend less at the pump and sends less exhaust gases into the ozone. As you might have already guesses, the interior is also identical to the standard model. As you might have already guesses, the interior is also identical to the standard model. 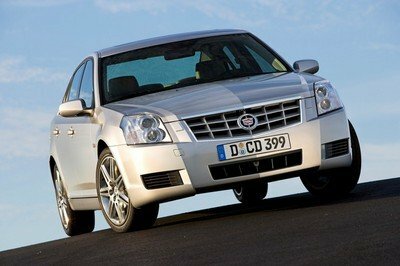 That means that you’ll see plenty of Japanese-inspired design and plenty of real wood trim. Ambient lighting will keep the mood regardless of the situation, and the long, strategic lines of the interior will further emphasize a sense of space and comfort. 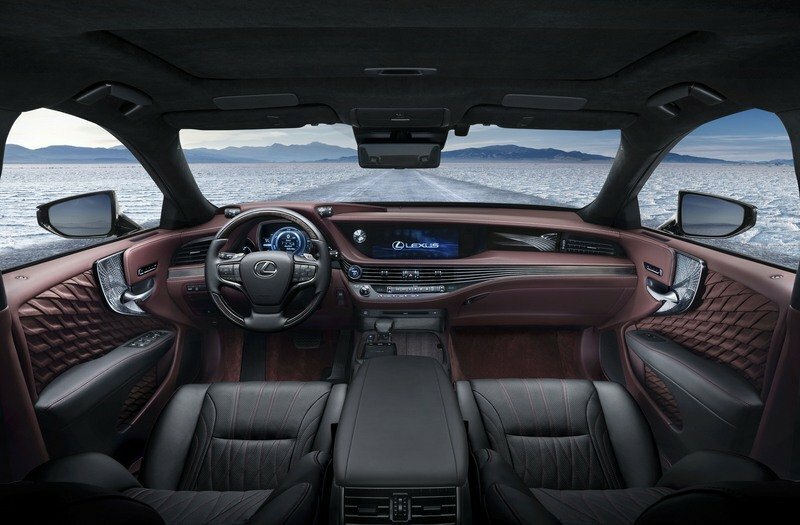 The front seats can be had with 28-way power adjustments and can be equipped with heating, cooling, and even Shiatsu massage – something that will clearly make you want to take the long way home from work. The 500h should also offer the wider rear seat package will include the same functions save for the power adjustment, but with a raised ottoman for really kicking back. On the technology front, the hybrid gets the same goodies, which include a 12.3-inch navigation display, and a semi-digital instrument cluster with a digital tach in the middle and analog gauges on the side. A pad on the center console offers up handwriting recognition and support while selecting the right option box will get you a 24-inch – yes you read that right – heads-up display which is the biggest available in any production car as of the time of this writing. As far as all of this technology is concerned, it will likely mirror that of the standard 500, but the software will be updated to include information about range, battery life, charging, etc. – all necessary things for a car that lugs around a battery pack and electric motor. Of course, having a hybrid drivetrain means that both the infotainment screen and the instrument cluster display come with extra features. The standard audio system that will be available is pretty good, but the big ticket item is the Mark Levinson 3D stereo package that’s up for the taking and includes ceiling speakers in addition to the usual door and deck speakers. With the upgraded audio package you also get upgraded graphics on the infotainment system, so that’s an added bonus. Active noise cancellation will keep the cabin quiet while the air suspension system makes entry and exit a little easier from a car that sits so low to the ground. Of course, having a hybrid drivetrain means that both the infotainment screen and the instrument cluster display come with extra features and apps, including information about battery life and recharging status, all-electric and combined mileage, and data about the energy regenerating system. 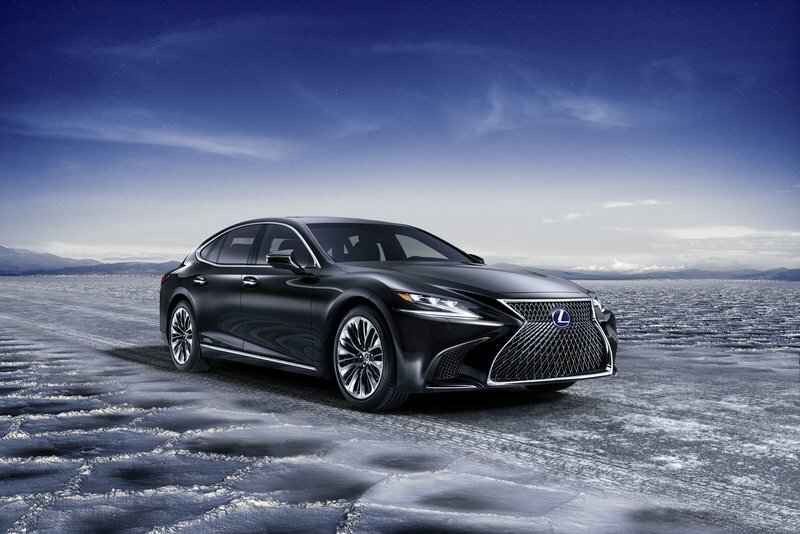 Motivation comes from Lexus' recently introduced Multi Stage Hybrid System. 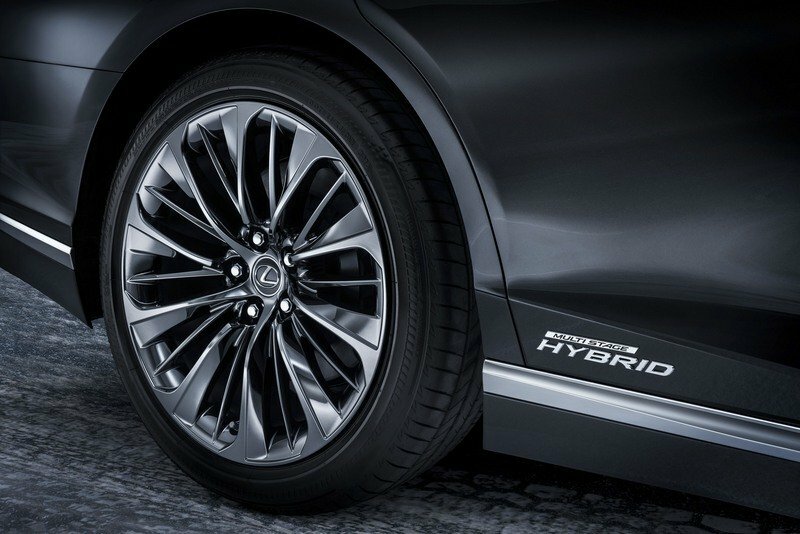 Motivation comes from Lexus’ recently introduced Multi Stage Hybrid System. 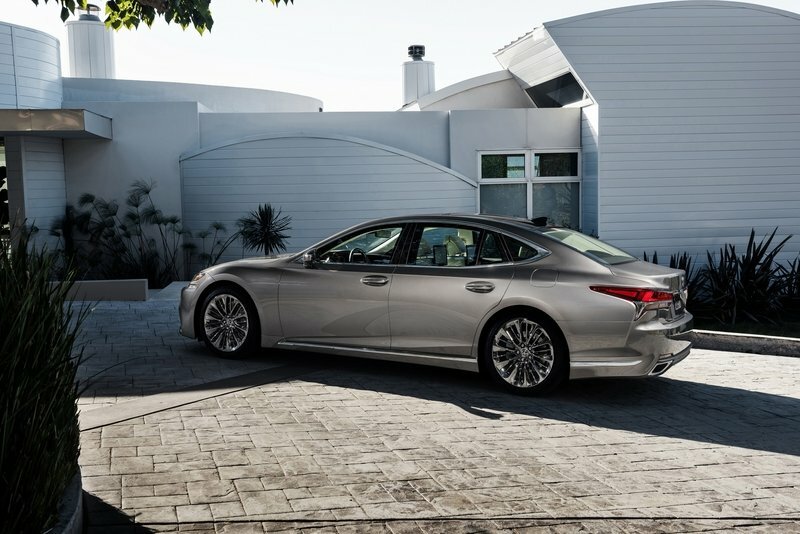 Already available on the LC coupe, it combines the familiar 3.5-liter V-6 gasoline engine with a couple of electric motors. Total output is rated at 354 horsepower and pushes the LS 500h from 0 to 60 mph in 5.4 seconds. Granted, it’s not as fast as the gas-only model, but it’s sporty enough for a vehicle this size. 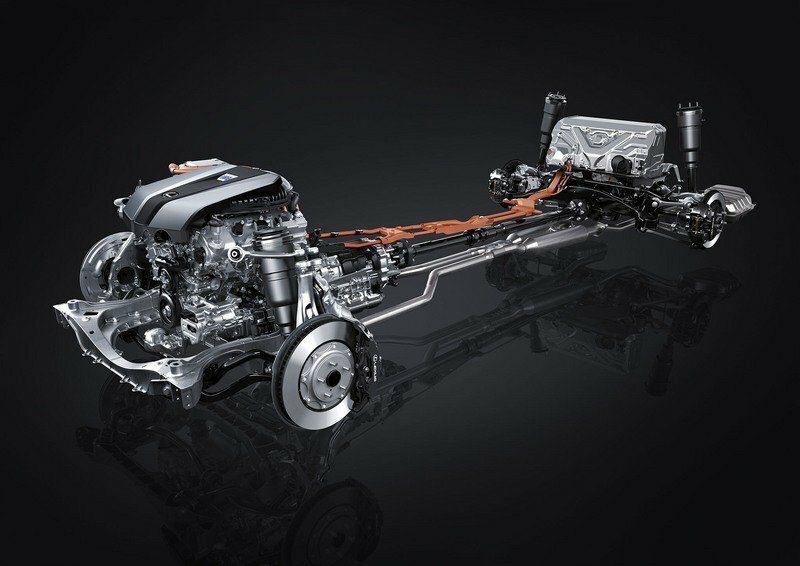 Routing all that power to the wheels is a continuously variable transmission which Lexus claims it delivers the "feel of driving with a 10-speed gearbox." 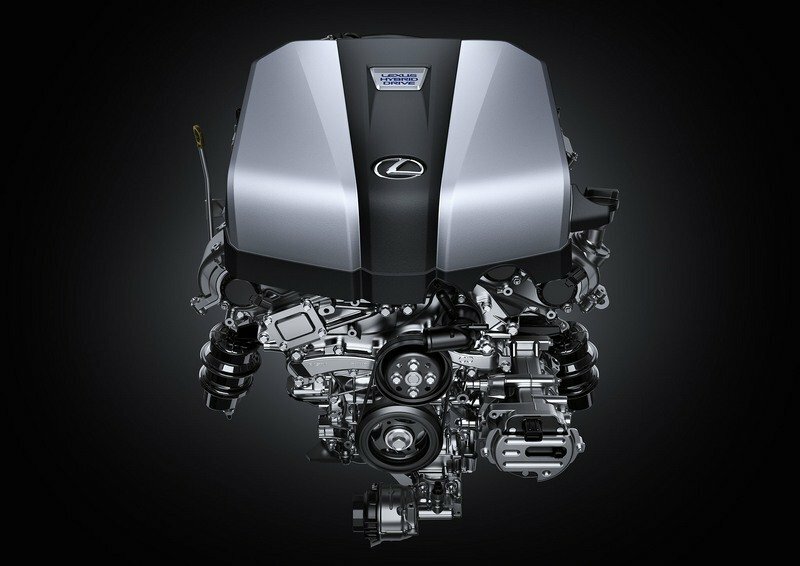 It’s also supposed to feel smooth at lower engine revs and deliver the most fuel-efficient performance in a Lexus yet. The new transmission also comes with a "manual" mode that allows the driver to select and hold gear manually using the paddle shifts mounted behind the steering wheel. 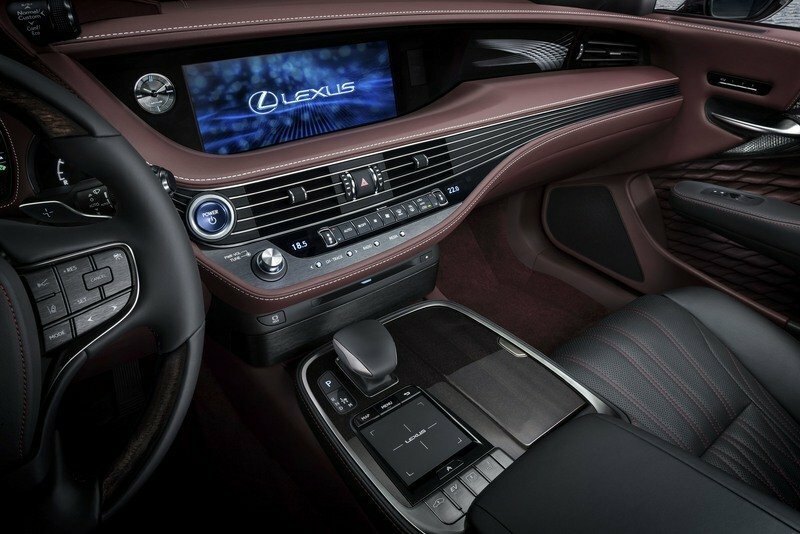 A first for a Lexus hybrid, the gear shift will start instantaneously with the computer receiving the signal from the paddle shift. The LS 500h is fitted with a compact, lightweight, lithium-ion hybrid battery. 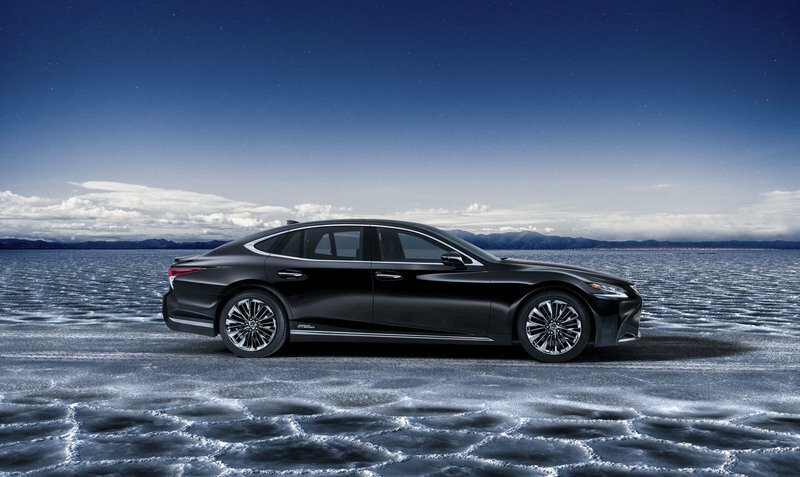 The LS 500h is fitted with a compact, lightweight, lithium-ion hybrid battery that’s 20-percent smaller than the nickel-metal hydride unit featured in the outgoing Lexus LS 600h. But despite being smaller, it has a higher power density. It also has a satellite construction design, in which the cell voltage monitoring function has been separated from the battery ECU. This allows for efficient use of space inside the battery pack and helps with the more compact design. 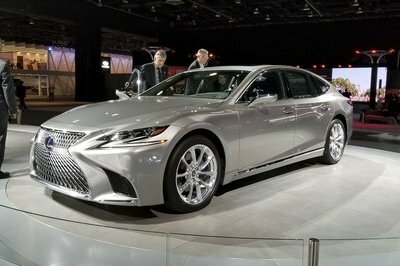 Pricing for the LS 500h starts from $79,510, which is a $4,510 increase compared to the non-hybrid LS. This sticker is for the rear-wheel-drive version, while the AWD variant starts from $82,730. 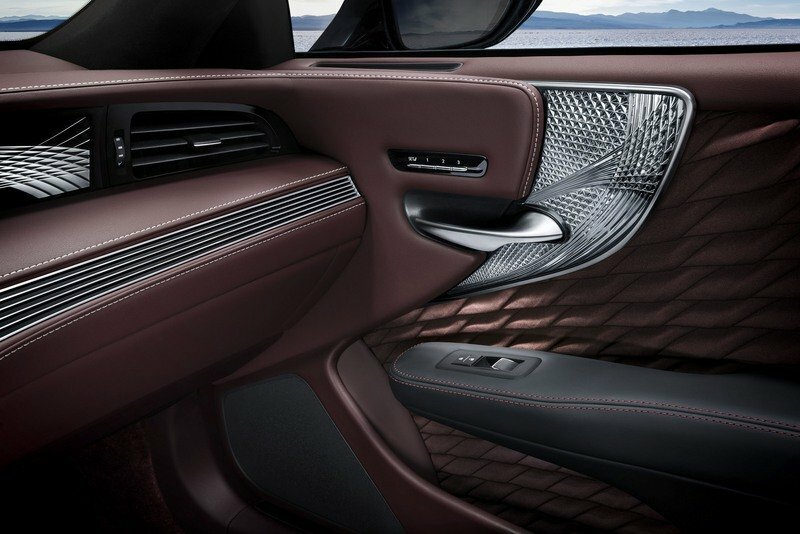 Three additional packages are available for the LS 500h, starting with the Interior Upgrade Package, which adds quilted-stitch, perforated semi-aniline leather-trimmed interior, 28-way power driver’s seat with multifunction massage, power front seatbelt buckles, heated rear seats and more. This bundle retails from $3,730. Next up is the Luxury Package. Priced at $12,270 with RWD and $12,250 with AWD, it adds 28-way power passenger seat with multifunction massage, passenger-seat power cushion extender, 18-way heated and ventilated power-reclining rear seats with memory, remote adjustment for passenger seat, and four-zone climate concierge. Finally, there’s the Executive Package with Kiriko Glass. The most expensive upgrade at $23,080 for RWD cars and $23,060 for AWD vehicles, it adds Kiriko glass interior door trim, hand-pleated interior door trim, 22-way power rear seats with butterfly headrests, memory and multifunction massage with heat. 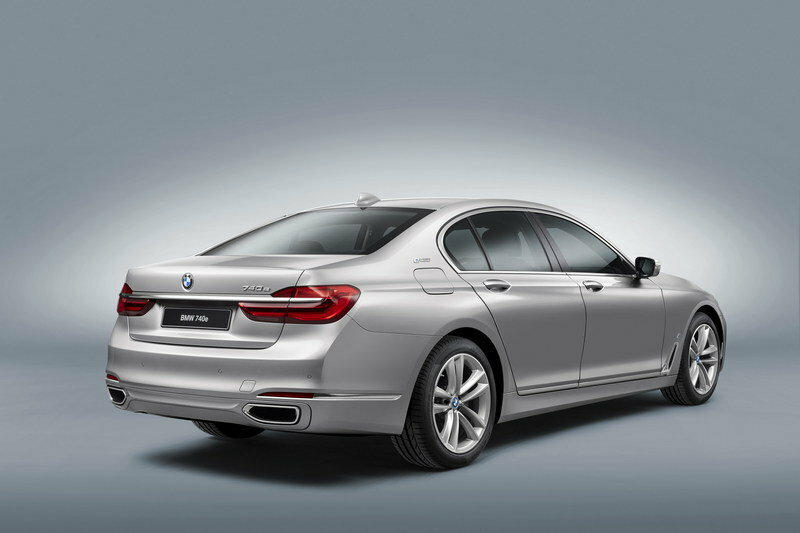 BMW’s resident, large hybrid sedan comes in the form of the 7 Series, or more specifically the 740e xDrive iPerformance. 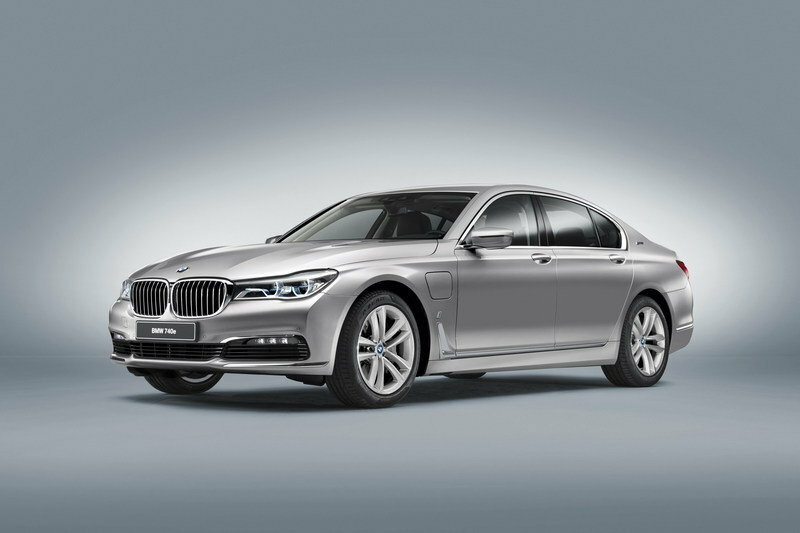 It takes on traditional 7 series styling with the only exterior changes coming in the form of different headlight units, new badges to show off its electric nature, and the addition of a charging port between the driver’s door and front wheel. Inside, it’s all Bimmer 7 Series, with the exception of new digital displays that include a 12.3-inch digital instrument cluster with software that displays battery information in addition to the usual data. Under the hood, the iPeformance gets a 2.0-liter four-banger that’s paired with an eDrive electric motor. 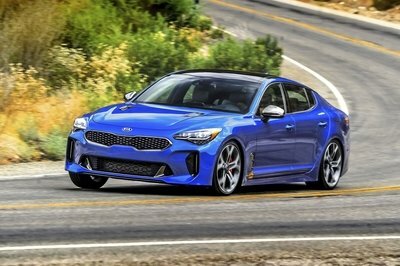 The 2.0-liter pumps out 255 horsepower and 295 pound-feet of torque while the electric motor is capable of a decent 111 horsepower and 184 pound-feet. Combined output is advertised at 322 horsepower, and 369 pound-feet and a 9.2 kWh battery gives the motor juice. Total range is 340 miles with an MPGe rating of 64. Charing time to 100 percent is said to take 2.7 hours. Pricing starts out at $89,100 before options, taxes, and destination. Of course, it wouldn’t be a true battle royal of massive luxury cars if we didn’t include the Mercedes S-Class, right? 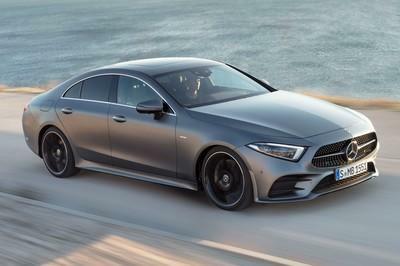 Well, there’s a hybrid version of that too, and it combines the classic S-Class styling and luxury with a powerful V-6 and an electric motor to bring a combined total output of 426 horsepower and 479 pound-feet of torque to the table. 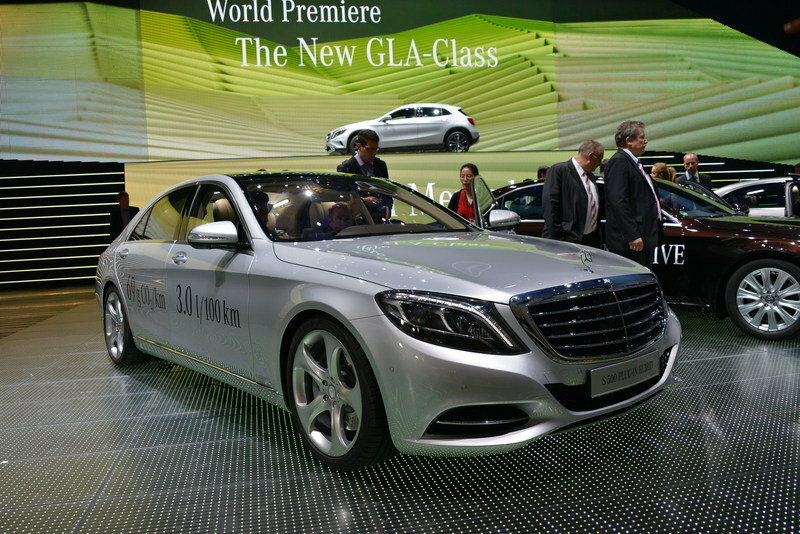 It’s enough to get the massive S-class up to 60 mph in 5.2 seconds or a top speed of 130 mph. An 8.7 kWh battery provides the electric juice and is enough to bring a usable electric range of 20 miles and an all-electric range of 87 mph. Pricing starts out at $96,600, so it’s a little more expensive than where the LS 500h will sit, but come on – this is a Mercedes, after all. 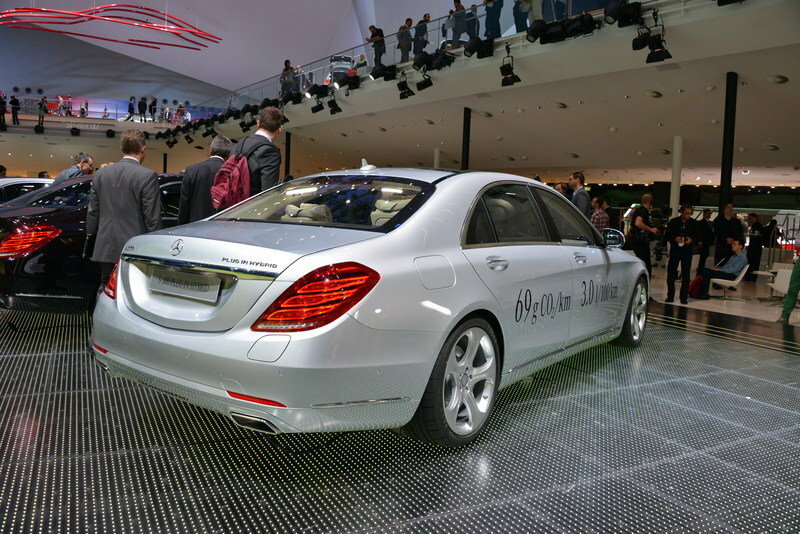 Find out more about the Mercedes-Benz S550 Plug-in hybrid. 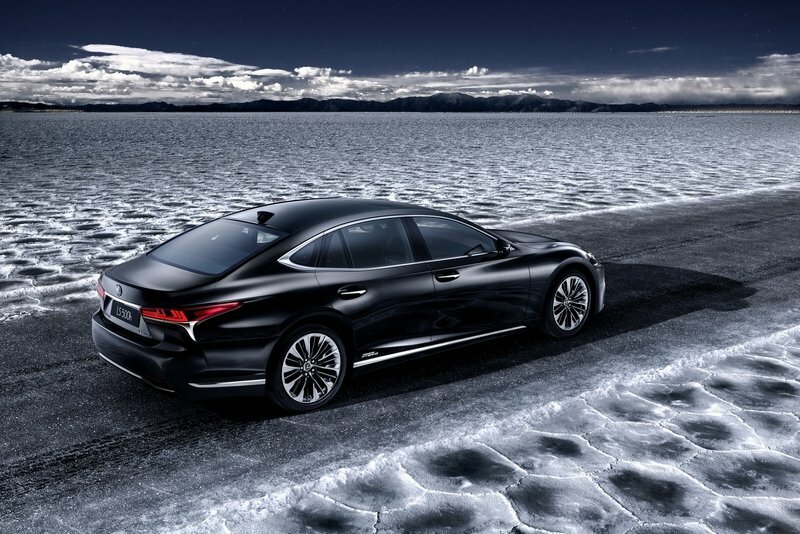 The new LS 500h is far from surprising as far as design goes. It’s everything I expected it to be: a standard LS sedan with blue badges, new display setting, a couple of electric motors and a CVT gearbox. 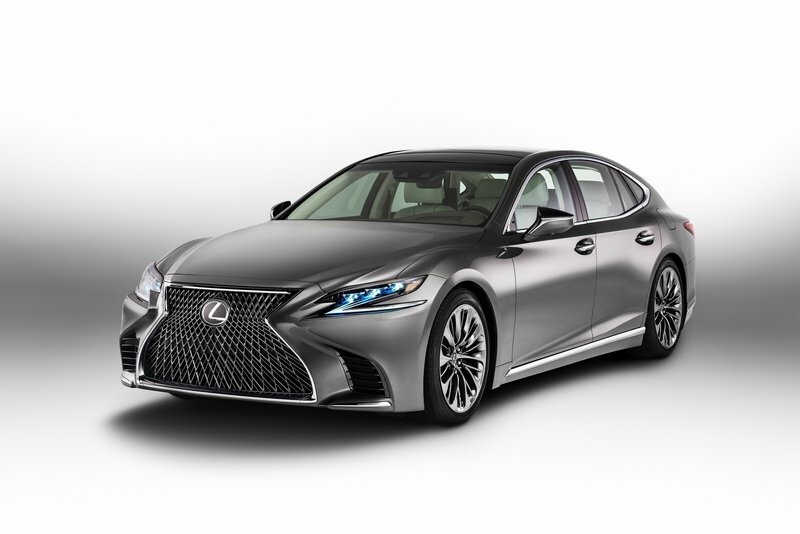 But, that’s okay because the LS 500h is on point in the looks and luxury department and, while it might not be the fastest car out there, it should get the job done nicely.